Open a free IaaS account in few minutes only. Your card will not be debited at this stage. You will be asked to enter a bank card to validate your account, that allows you to pay for your monthly usage quickly and easily. No resource usage* = No billing. Build your own Private Cloud on OpenStack. Our commercial team is at your disposal to study all your needs and advise you about your Cloud project. Enjoy the Cloud Computing flexibility while reseiving your own resources. support and security in addition ! IT infrastructure services in a virtual environment to create virtual on-demand resources, such as virtual machines, storage and firewalls. To host a scalable and flexible computer infrastructure through a graphical interface, with no hardware issues to worry about. 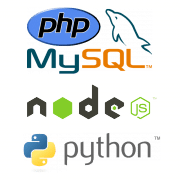 Ready-to-use development environments specially designed for developers of applications using phpMySQL, Nodejs MongoDB and more. To quickly and easily deploy a secure and ready-to-use development platform without any hardware or software installation issues. Ready to use business applications including collaboration and productivity tools, and CMS installed and preconfigured for optimum long-term use. 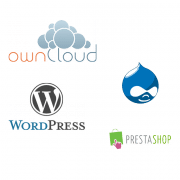 The usage of on-demand applications for various purposes including website creation and collaborative projects. Cloud Computing is on-demand web access as a service to virtual IT resources, which can be shared and configured in real time. Cloud Computing hails the beginning of the IT sector’s industrial era. The supply of Cloud services has for example been compared to energy supply. 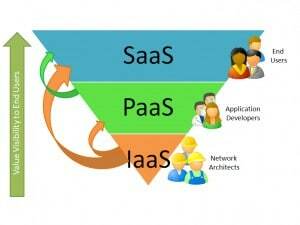 Public Cloud or Private Cloud ? According to your project, you may have to choose between a Public Cloud or a Private Cloud, or a combination of the two (a Hybrid Cloud). But what is the difference between public and private? Public Cloud is a flexible, open system which is fully managed by SafeBrands. Several users (individuals and companies) can access it via the internet. With the Public Cloud, multiple entities share the same IT resources. The main infrastructure is shared between several companies, but the data and application usage are logically separated so that only authorised users have access to them. Consequently, the Public Cloud is far more than a hosting service or a new technology – it is a brand new model for the delivery of IT services. It offers flexibility and freedom – the user can access the service at any time and for the time that they need, and is billed based on this access. The Public Cloud offers a real plethora of resources, including operating and development tools, management software, application resources etc. Private Cloud is a private system whose management is shared between SafeBrands and the user. Private Cloud (or internal or company cloud) services refers to IT infrastructure hosted on a private platform. This infrastructure is dedicated to the company alone. The main difference to the Public Cloud is that the Private Cloud is dedicated to the client, who has more control over the infrastructure, and benefits from extensibility, flexibility and improved productivity. The client is also empowered to manage its own data security. Whether you are a recently-financed pure play, a major company, an SME with ambitious internet plans or a digital agency with a specific goal in mind, you can benefit from efficiently outsourcing your IT issues. You may see no advantages in choosing a dedicated hardware platform. However, you may have specific visibility/scalability needs requiring the support of a flexible and secure Cloud solution. SafeBrands’ solutions are based around all types of Cloud services, including IaaS, PaaS, SaaS, but also at all levels of deployment (public or private). All of our packages are based on the same unified principle of deployment and provisioning, for proper standardization of OS, middleware and software environments. Each service represents the rollout of a standardized resource.